Gross National Happiness in Bhutan just moved up an octave. 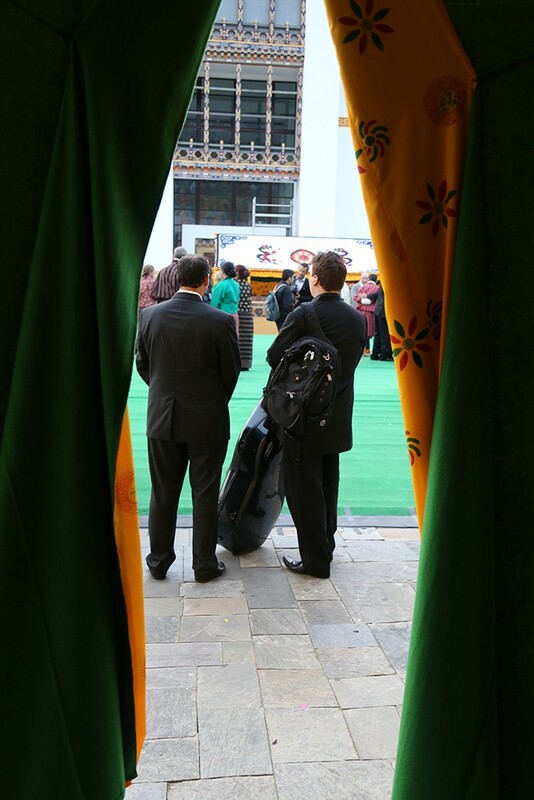 An international audience decked out in their finest kira and gho were witness today to the first opera ever performed in Bhutan and the first in the world to incorporate Bhutanese music, dance and other cultural elements. By all accounts, it was a success. 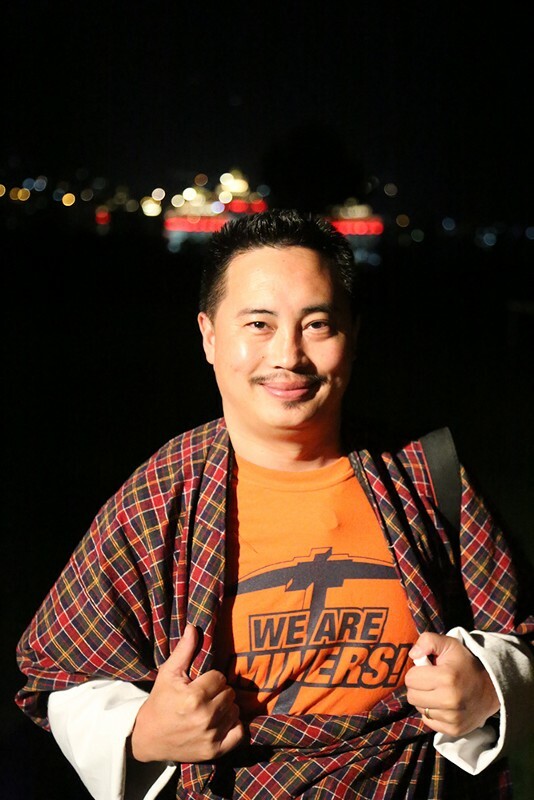 Both Bhutanese and Western audience members shared positive comments about the performance. It brought tears to the eyes of the UTEP staff and administrators who have watched the opera take shape during the last two weeks, and I’m no exception. After it was over, the cast was invited onto the stage to meet one of the queens—a wife of the former king. She called the UTEP students “mesmerizing” and said she really enjoyed the show, one of the students told me later. The king did not attend but sent a beautiful (and delicious!) 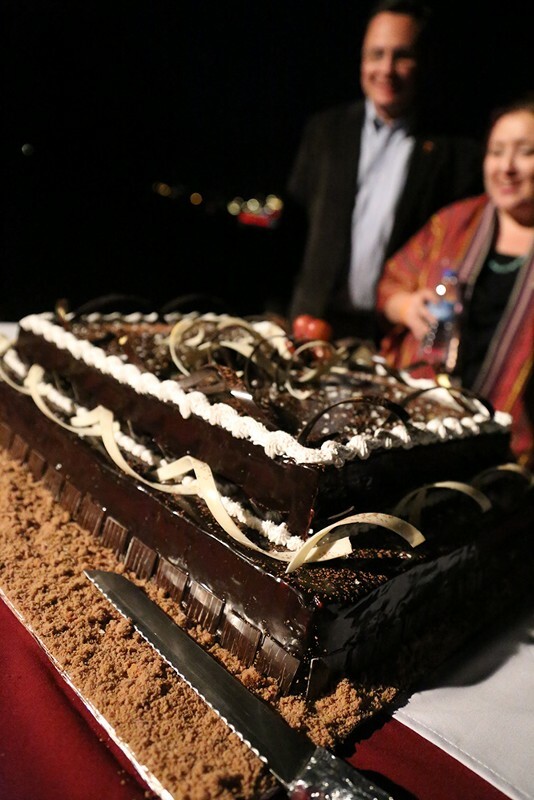 two-layer chocolate cake to thank the University for putting the opera together. 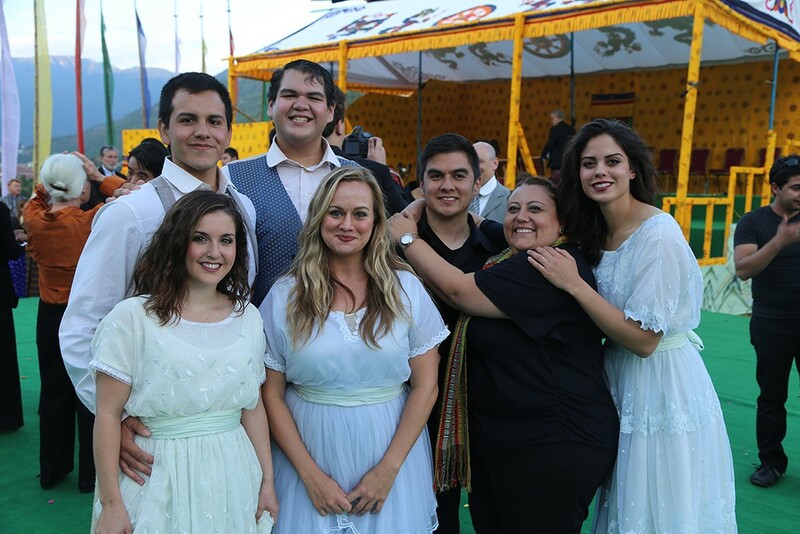 Many of the students stood on stage after the show taking photos of each other and looking wistful and a little sad that their Opera Bhutan experience was coming to an end, at least for now. Several told me that they didn’t want to leave Bhutan. Two weeks has felt twice that long, one student told me. The pace of life is slower here and there are so many new experiences packed into each day that it feels like we’ve been here for at least a month. Backstage, costume designers Luigi Piccolo and Rinzin Dorji were packing up the costumes to send home. 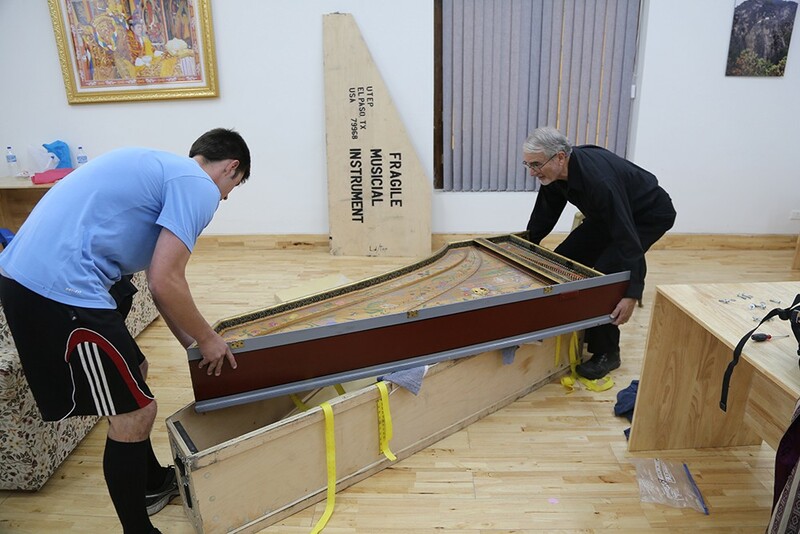 Oboe player Dr. Don Wilkinson was putting the harpsichord back in the case he built specifically for this purpose so it could be shipped back to El Paso. Assistant Stage Director Justin Lucero packed up the blue silk that created a flowing river in the last scene of the opera. 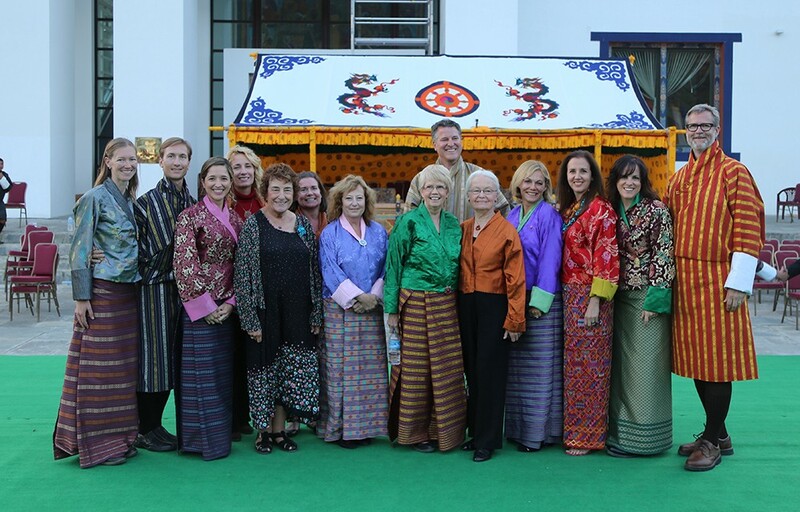 The students, tour group participants, UTEP President Diana Natalicio and 10 Bhutanese UTEP alumni relocated to the Royal Thimphu Golf Club for a reception, where we ate the king’s cake and enjoyed the view of the Trashi Chhoe Dzong and each other’s company. Tomorrow is our last day in Bhutan before we begin the three-day journey home to El Paso. The students and UTEP staff are driving to Paro to hike to the Tiger’s Nest monastery. The tour group participants will stay in Thimphu for some more sightseeing and shopping. We leave Thimphu Monday morning and should be back in El Paso by Tuesday night after crossing the International Dateline and gaining 12 hours. We’ve had a great time here and will never forget the people, the natural beauty and the cultural sites that are several thousand years old. 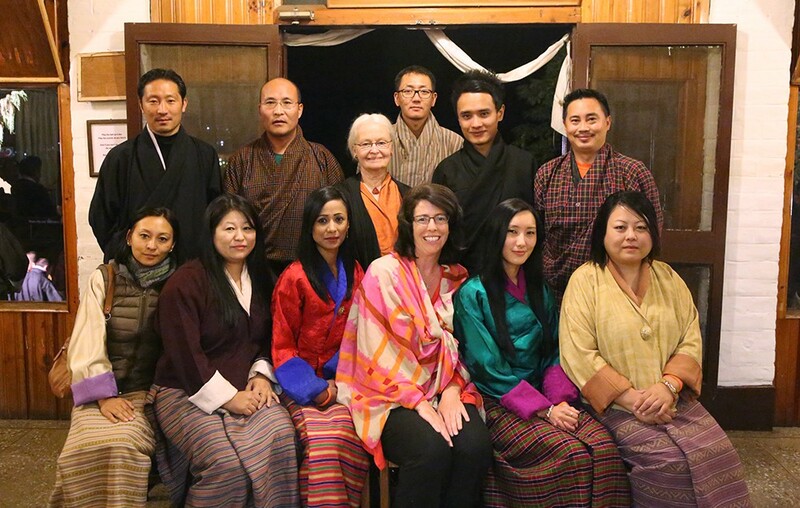 The curtain is coming down on our time in Bhutan, but our appreciation and awareness of the country, the culture and the people we have gotten to know in the last few weeks will be everlasting.